The young man bears a scar where a machete slashed his face three years ago. It was a random attack that traumatized the teenaged boy. That and a troubled childhood drove the now-18-year-old man to “numb” his feelings with alcohol, his defence lawyer told a Winnipeg courtroom. The man, who CBC is calling Thomas because his history in the child welfare system prevents releasing his name, stole liquor 52 times over the span of six months last year. Thomas is one of more than 60 people charged with stealing from Manitoba’s liquor stores since October, Manitoba Liquor and Lotteries say. A surge in the number of liquor thefts last year alarmed the public and left police and Manitoba Liquor and Lotteries scratching their heads over how to stop it. The number of thefts quadrupled last year compared to the year prior, rising from 658 in 2017 to 2,602 the following year. Thieves boldly pilfered liquor, walking past staff who had been warned not to intervene out of fear of attacks. 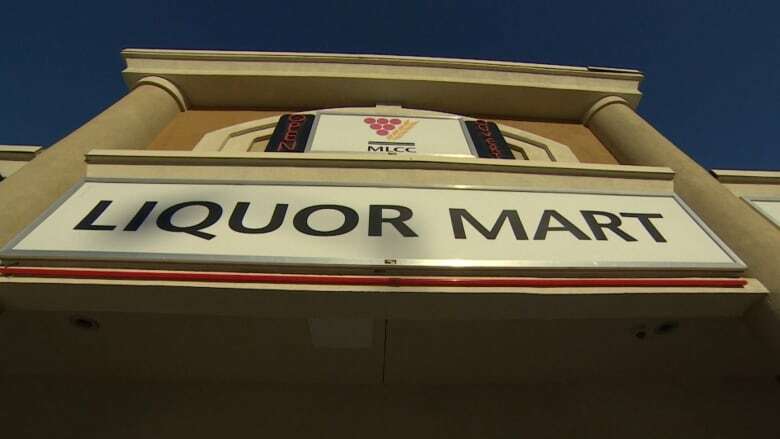 “There’s a perception in the community right now that anyone can flagrantly enter into a liquor store, pick out whatever they choose, walk out without paying for it,” Crown attorney Sarah Murdoch said during a sentencing hearing for a 19-year-old man charged in 13 thefts at four locations. The current “epidemic” of liquor thieves is unlike anything defence lawyer Don Mokriy has ever seen in his 20-year career — and he’s represented many petty criminals, including Thomas. Now, as some of these offenders make their way through the justice system, courts are struggling to find ways to be fair, holding out hope for their rehabilitation, while sending a message that these kinds of thefts won’t be tolerated. CBC followed three cases through court. Each of the three were young men still in their teens. Each of the men’s lives were shaped by addiction. And each spent years in the child welfare system. In the beige square courtroom in Winnipeg’s downtown in late January, Mokriy defends his client. “There is always more than meets the eye in terms of why a person does things,” he says. Thomas is connected to Lake St. Martin but lives in Winnipeg’s North End with his grandmother, who sat in the courtroom in support on the Thursday morning of his hearing. She’s been a “spirit of hope” for Thomas and his three younger siblings, who all live with her after being estranged from their mother. Thomas was hanging around with a group of older people and stole the liquor as a way to fit in, Mokriy says. Mokriy suspects his client has fetal alcohol spectrum disorder, although he hasn’t been diagnosed. The combination of his addiction and peer pressure made Thomas vulnerable. “I just want to tell you that I’m sorry,” Thomas says soflty in court. “I have an alcohol problem and I also wasn’t in the right state of mind since I was drunk all the time,” Thomas admits to Judge Timothy Killeen. Thomas’s case bears some striking similarities to two other cases CBC looked into. In one of them, a 19-year-old man, who CBC is calling Michael, stole liquor 13 times in three months. Michael spent five years in CFS care from age 10 to 15 and was homeless for a time because of his strained relationship with his mother. He struggles with substance abuse. Another young man, who CBC is calling Stephen, pleaded guilty to stealing liquor 14 times over five months. Stephen lived in extreme poverty in a home ripped apart by addiction. He has struggled with ADHD and was in and out of CFS custody, because his parents could not take care of him. Each of the young men spent between two and four months behind bars and were released on probation the same day as their sentencing hearing. While some may view probationary sentences as a slap on the wrist, courts often use probationary sentences for relatively young offenders. “Historically, more severe punishments do not deter young people from committing future crime,” said Kelly Gorkoff, a criminal justice professor at the University of Winnipeg. Young people don’t settle into a life of crime until age 24, she said. Probation often works better than prison because offenders can access more supports and programming out in the community, said John Hutton, executive director of the John Howard Society. Jails are also fertile recruiting grounds for gangs, so the chances of reoffending are higher. “There’s no formula. There’s no guarantee. There’s no promise. But certainly … trying to find ways of keeping people in the community successfully without reoffending is likely to work better,” said Hutton. Standing to speak at his sentencing hearing, Michael told Judge Wyant that when he turned 18, he vowed to turn over a new leaf after a spending time in youth jail. “But I did get myself into trouble … I don’t want that to define who I am in the future because I’ve got good things going,” Michael said, adding he planned to go back and finish high school. Michael’s lawyer told the judge his client had been influenced by others to steal liquor. The judge pointed to Michael’s lengthy youth record. “Don’t think that somehow I buy all that baloney that someone else is leading you astray, or that somehow you’re just a young man who can turn it all around. I hope you do,” Wyant said. Wyant released Michael on probation with an order to repay $850, his share of more than $6,000 stolen by him and his friends. Thomas and Stephen were ordered to pay back much more. Stephen, who grew up in “extreme poverty,” according to his lawyer, must pay back more than $2,400. Thomas was ordered to pay more than $10,800. Rather than making repayment part of their probation, however, the judges made them stand-alone orders, which are similar to civil judgements. The men won’t go to jail if they don’t pay, but Manitoba Liquor and Lotteries could go after them to recover the money by, for example, garnishing their wages or suing them. A new FASD court set to open at the end of this month is seen by some as a sign that the justice system is looking for alternative ways of handling offenders who have a hard time with traditional punishments. Before releasing Thomas on probation after four months in jail, Judge Killeen asked him what he would do that evening after he got out. “Go home, spend time with my family,” he said. He vowed to return to school and hoped to get a job from his father working in construction. Killeen let him go with a final warning.